Culture shift in an organization is hard work. Undoing long-held beliefs and ways of doing. Agreeing on the values that should underpin the organization’s work moving forward. Creating new management practices that reflect those values. If not done properly, culture change can create much pain and upheaval, with some casualties. After much struggle to deal with change, most are able to leave behind the way it used to be and get on board with the new culture. And in truth, organizational culture change never ends. Now imagine if that organization is NASA’s Mission Control, and the group undergoing a culture shift is the senior management team? As a business person, you might first be curious as to how that whole culture change thing worked out, and if it did, you might be eager to find out their secret, because surely anything implemented at Mission Control is worthy of consideration for one’s own organization. Paul’s goal in writing the book was twofold. First, he wanted to capture the many discussions of the management team as they journeyed together to lead the organization as well as they expected the flight control teams to fly in space. 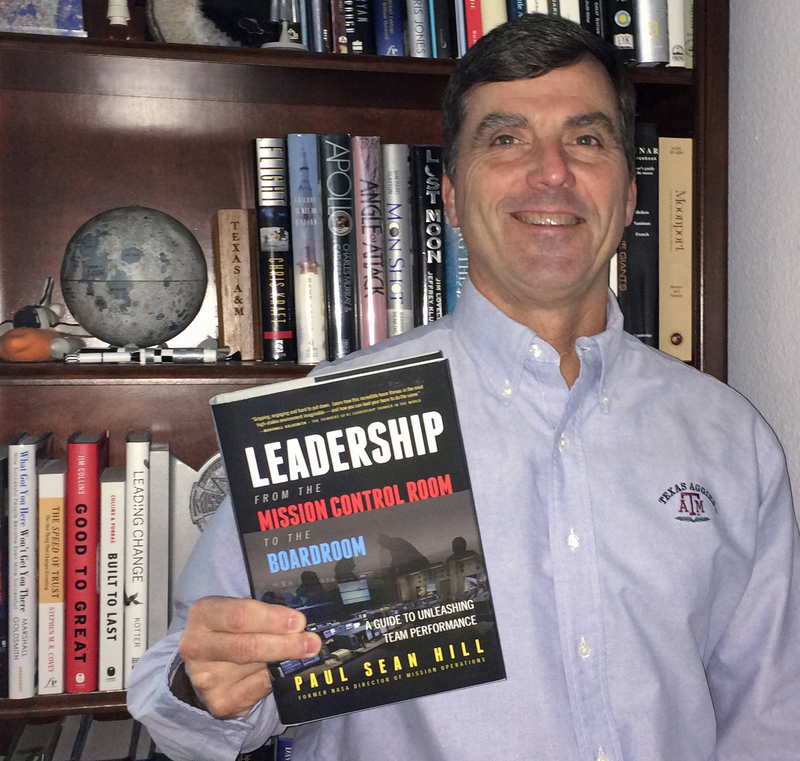 Paul saw his book as an opportunity to capture the team’s experience and knowledge and pass this invaluable information along to the next generation of leadership at NASA. “This way the next generations of leaders can pick up where we left off and fix what we didn’t quite get right,” acknowledges Paul. Secondly, Paul realized that other organizations could also learn from their experience. His goal was to write his book in a way that others could see their challenges and solutions in his story. When asked which part of the self-publishing process was easiest, Paul reflects that with 1106 Design helping him at every step of the way (“From soup to nuts,” says Paul), every part was easy. He laughs while admitting, “My guess is that Ronda would have a different answer by the ninth iteration of the cover or my third iteration of cover text (when I’m pretty sure I changed decisions more than once), but she never balked.” In particular, Paul found that having 1106 Design handle the technical aspects of preparing the book files for IngramSpark, CreateSpace, and Kindle was particularly valuable. To market the book, Paul paid for a standard promotion in IngramSpark’s publisher newsletter. He made a series of Facebook and LinkedIn posts. Realizing that wasn’t enough, Paul reports that he is now formalizing efforts with the Cadence Group and Annie Jennings for marketing and PR help. Brief synopsis: Take the ultimate insider’s look at the leadership values and culture that made Mission Control’s brilliant track record possible. Paul paints a vivid picture, candidly portraying the critical cultural connections in human spaceflight triumphs and failures. By demonstrating how his Mission Control team learned to steward this culture into their management roles, Paul provides a guide for any organization to boost their own performance by leveraging the core ideas and values that have delivered “impossible” wins for decades.